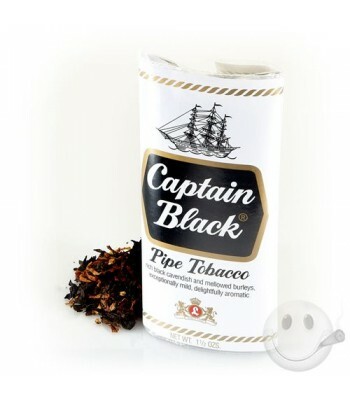 Description: Captain Black Regular (also known as Captain Black White) is the brand’s flagship blend and best seller. 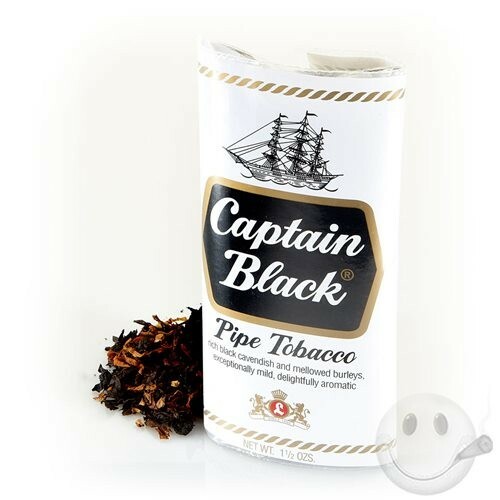 Utilizing rich, specially-cured Black Cavendish tobaccos paired with mellow Burleys and Golden Virginia tobaccos, Captain Black is slightly sweet, perfectly aromatic, and layered with deep notes of vanilla. The recipe is perfect and the taste is ubiquitously classic. Nice job with the delivery Cigarsindia.in loved the tobacco..
Paying a bit more..but the convenience and the quality of the pipe tobacco is the real deal so I dont mind, good job guys. Excellent delivery cigarsindia.in you guys lived up to your word, thanks, will come back for more. Great tobacco to smoke everyday, nice cigar!